One post tripled my blog traffic. Yes, you read that right. ONE post. And it wasn’t some value-packed, meaty blog post. It was less than 1000 words, had no comments, and I hadn’t promoted it in any major way. It answered a question that lots of people were searching for. It’s as simple as that. I did no crazy promotion, no back-linking, no comment generating. I wrote a post, threw it up, and left it alone. And it still ranked on the first page of Google search and brought me THOUSANDS of page views, tripling my overall traffic from the previous month. In this social media world, I feel like we’re too focused on our Instagram posts and our Facebook interactions. We’re forgetting that organic search is one of the best ways to generate free, targeted traffic. And you can do this too – you just need to find your winning idea. Mine ended up being ‘How to Add a Link to Your Instagram Story (+ What to Do if You Can’t!)‘. Quick to answer and write, plus it answered a very popular question that I myself had once searched for. I knew people would be typing this EXACT query into Google. 1. What is people’s number one interest in my space? You want to pick a topic that a lot of people are thinking and searching about. It only increases the number of eyes you could potentially get on your post – and on to your email list. Narrow this down by thinking about what people are the most interested in. I like to refer back to other posts I know have been really successful for me, conversations I see happening in my FB groups, or areas that I personally care about in my niche. From here, I can click any of these topics that I’m interested in to get even more specific about what people are searching for. I can already generate some good ideas. PRO-TIP: Try to pick something that relates to an opt-in that you offer. Or, if you have the time, create an opt-in that ties in with the post. This is the best way to convert all of the search traffic coming your way into subscribers and repeat visitors! 2. What is something people want to know that they’re ACTIVELY searching for? Now, in that area, what are people actually searching for on Google? What questions do they take to search to find answers to? what does tea tree oil do for your skin? is tea tree oil good for your face? 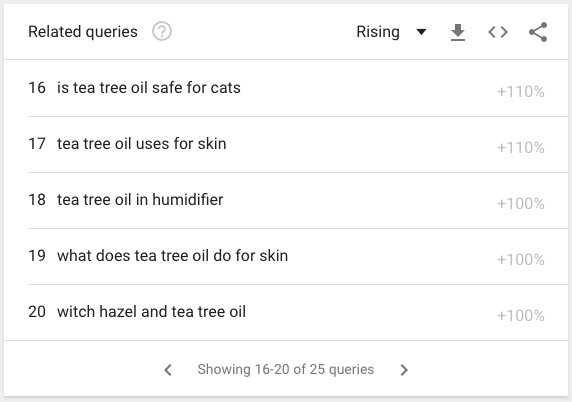 tea tree oil for acne (this is the TOP search query related to tea tree oil – and would probably make a great post). Not only do I now have post ideas, I have exact headline and keyword ideas that are proven – because they’re exactly what someone who wants this information is typing into Google. You’re looking for something straight forward, like these ideas above, that you can provide a great answer to. This works so well because these posts can be quite short and easy to write, meaning they’re easier for the reader to digest and less time consuming for you! 3. How can I use their EXACT search language to get my post seen? Editing my post with the Yoast plugin. 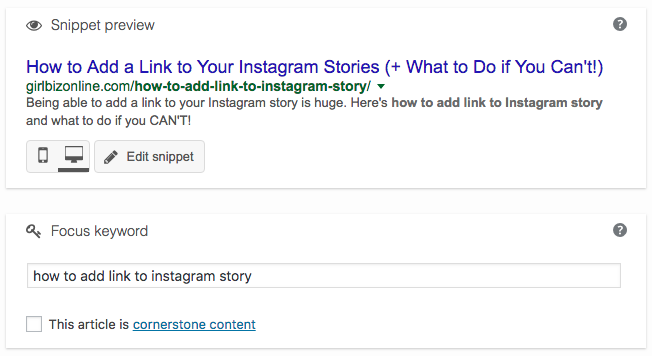 I always make sure to name the post after the ACTUAL search term – plus in the focus keyword and post link. This is a really important part for ranking + attracting the right attention: use the exact language people are searching for. Continuing with our tea tree oil example, the post about ‘what does tea tree oil do for your skin?’ should be called exactly that: “What Does Tea Tree Oil do for your Skin?”. You’re hearing – right from their search term – what they’re looking for. Give them what they want and make it easy for them to find it. If you want to spruce up your headline – do it on Pinterest. The goal here is to create something that people are actively looking for. 4. How can I add an enticing spin to make my post stand out? Because there can be a lot of competition on Google, I want to make my post stand out. You want to add an enticing proposition so that people stop and click! As you can see from MY post, I added a little something to draw attention – “(+ What to Do if You Can’t)”. This helps set my post apart from some of the others out there – it’s a promise of additional valuable information. play on curiosity. . ex. What Does Tea Tree Oil Do For Your Skin? (#5 will blow your mind!). promote your opt-in (ex. What Does Tea Tree Oil Do For Your Skin? (The Guide on How to Use it PROPERLY). One thing to remember though is to not dilute your keyword by making these extra statements as important. You want the main message “What Does Tea Tree Oil Do For Your Skin?” to stand out. That should be the post title, permalink, and focus keyword, as you can see in the example image above. So… wait… what type of content should I be writing all of the time then? This is valuable content that you might not be searching for. I doubt anyone is getting on their computer and typing into Google: “how one post triples blog traffic”. But posts like this do really well on Pinterest and social media. The headline, though maybe not searchable, is attention grabbing. Long form, informative, pillar posts (massive amounts of value, ex. How To Start a Blog – The Complete Guide). 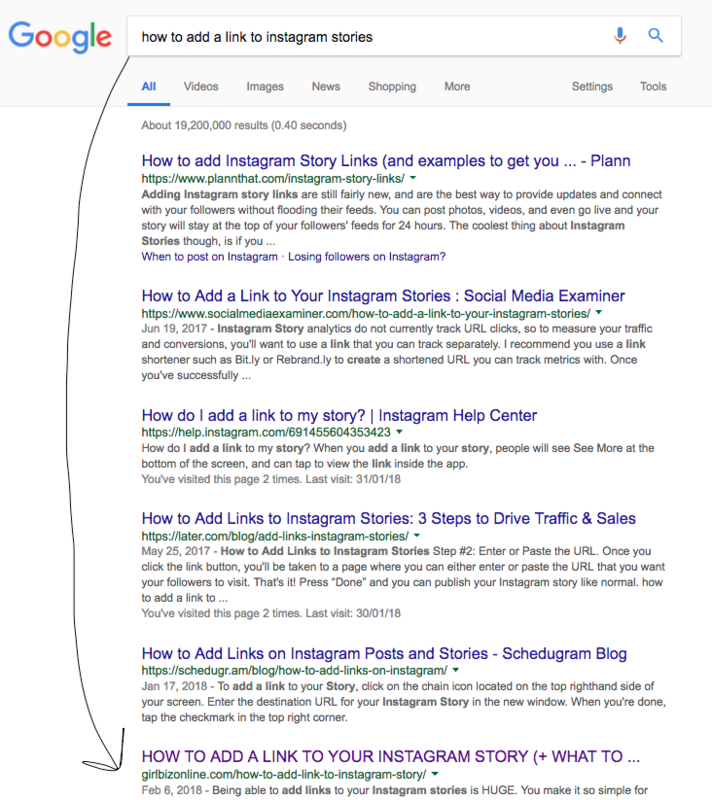 Direct answers to searched questions (How to Add a Link to an Instagram Story). This way – you cater to every type of audience. Some of your readers like longer posts and guides, while some will like quick fixes and click-bait. The more you post, the more you learn what works – and then go full force with that type of content. Now go ahead and try to write a post that ranks you on Google’s first page! 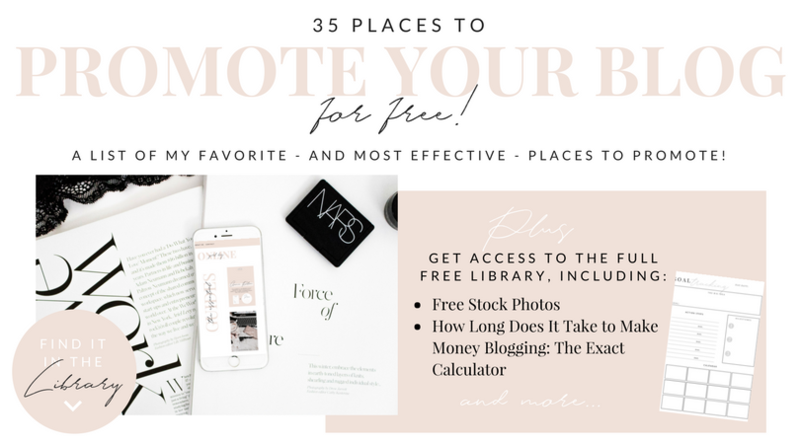 And don’t forget to grab the list of 35 places to promote your blog for free – so when you’re done that killer blog post, you can get EVEN MORE powerful traffic to it! this post is amazing! First congrats on a great post! Second thanks for all the super usefull info for writing your own! Great post! ♥ I’m going to pin it to be able to back to it everytime I need. Hugs and thank you! This is such an informational post! Definitely pinning for reference later. I never would have thought to check google trends. Thanks so much.. and new follower for sure! As a new-ish blogger, this post was SO helpful. Congratulations on your post and thank you for sharing your tips! 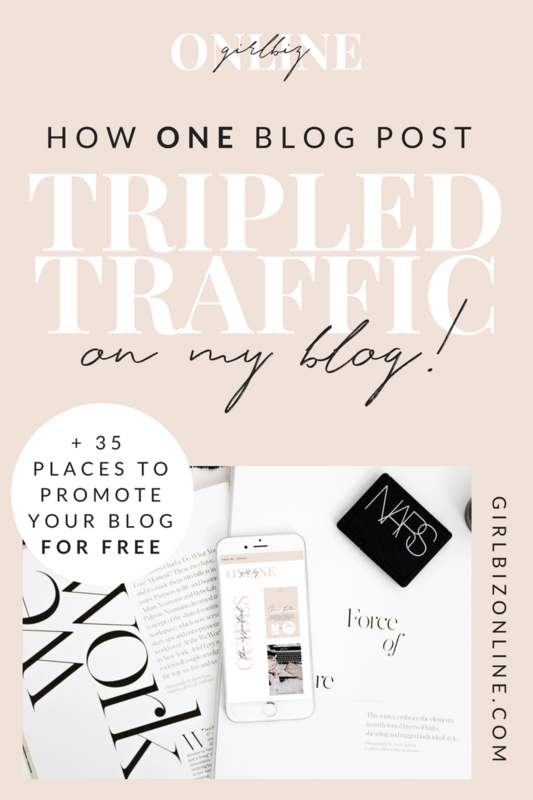 This is a great post & super useful info for building my traffic! Thank you for sharing! You nailed it on the head! When I try and thing of posts I picture myself saying it in a google search! That way I can use that as a title! Loved this! Epic tips girl! Thanks for sharing and keep slayin! Such great info! Will be trying the Google Trends idea for my next post! Congrats on the successful blog post, that must feel great!!! I love number 4. Its something I hadn’t thought about before. Great advice! I often forget to think about what people are searching for…but this a key tip! This is great info! Thanks for sharing and I’m pinning for later! Thank you for these awesome tips, i’ll have to implement them! 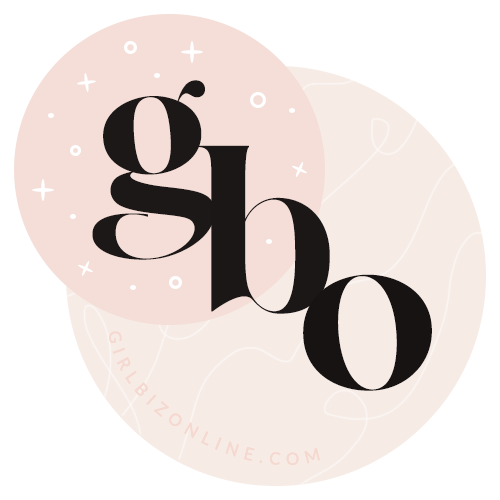 Website designed by Girl Biz Online in house. Get your custom site design here.